Brooks W. Lee, was born in Jackson County, Tennessee on January 25, 1826. His father was the first cousin of infamous general Robert E. Lee. In 1835, the family moved to Newton County, Missouri where Brooks began to interact with and learn Indian culture. He became well known at a young age for his ability to positively engage the natives. In the early 1840s, Lee was still just a teenager but because of his notoriety as a successful scout among Missouri natives, he went with his uncle, Leonard Williams(Texas Revolution veteran) on an expedition commissioned by Sam Houston as part of an effort to recruit natives in northwest Texas to attend peace treaty negotiations on Tehuacana Creek near Waco. This commissioner’s party wound up meeting with some of Texas’ most famous Indian chiefs. They found a group of Comanches under the leadership of Chief Santa Anna at the foot of a double mountain which they called Santa Anna Mountain. Upon meeting the commissioners’ party, another group of natives were led by Chief Buffalo Hump who noticed Lee’s ornate horse bridle. Before their trip ended, they reached the Platte River in Nebraska. Once along the way, all of them were taken prisoners by the Indians, but their lives were spared by Buffalo Hump’s intervention and Lee gave the chief his horse bridle in return. In 1846, Lee came to settle permanently in Texas on a solo horseback ride. The story of his journey across what was then considered to be very dangerous territory in Oklahoma gained him a courageous reputation that Texans never forgot. His father’s family followed in 1847 and they all settled on Tehuacana Creek in Navarro County. In 1852, Lee relocated to the Waco area where he joined Waco Masonic Lodge shortly after we were chartered. His brother, Grisham, also joined Waco Lodge that year. 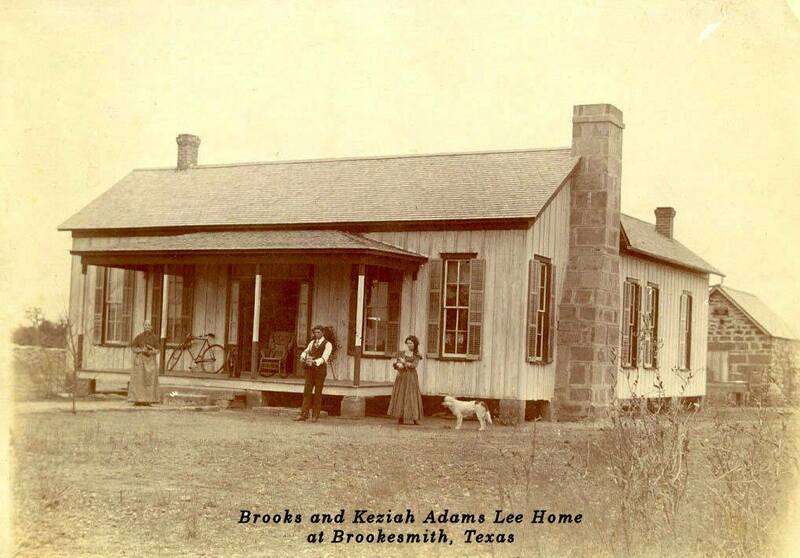 In 1854, Brooks Lee left for Brown County with his father-in-law, Ichabod Adams, and together, they became the original settlers of the Brownwood area. It is thought that Lee was the first freemason to live in Brown County and was followed soon by his brother Grisham. The earlier attempts at peace with natives had some temporary success allowing Lee and others to decide it was safe to go and settle with their families in Brown County. By late 1857 though, small bands of Comanches were raiding through the Pecan Bayou Valley where Lee and Adams had settled. Lee became locally famous for a number of successful skirmishes between him and some of the raiding bands. After one such skirmish in which Lee narrowly escaped death, the other settlers of Brown County sent Adams to Austin so he could request that a company of Rangers be established to help protect them. The request was granted in 1858 and John S. Ford was made the commander with Brother Lee serving as a lieutenant. Three years later, Lee enlisted in the Confederate Army, and served about two years in Colonel Sweet’s regiment of Texas cavalry. He was then appointed enrolling officer for the western district of Texas. A particularly sad story took place in late 1864. Texas Rangers led by Captain Gillentine spotted natives crossing the upper Brazos River one night in December. The Rangers alerted frontier forces who, after searching for a few days, found the natives camping south of San Angelo. Brother Lee and a friend, James Mulkey, were sent to determine whether the natives were friendly or not. After spending a night watching them, Lee’s long life of interaction with natives had him convinced that these were a friendly group that posed no threat to settlers and that is what he and Mulkey reported. The fort’s officers ignored this recommendation and attacked the natives the next morning. Dozens died and many more were injured before it was found out that the group were indeed friendly Kickapoos. Lee did manage to save two teenage boys who were about to be executed by two soldiers until he stepped in front of them and refused to move. The soldiers relented and the boys were allowed to live and set free. A short time later, Lee realized he had been joined by other masons since becoming the first mason in Brown County several years earlier so he got them together in the new second story of the courthouse and they chartered Brownwood Masonic Lodge in June of 1865. Lee served as the first Junior Warden and his brother, Grisham, served as the tiler. Brooks and Grisham were also members of San Saba Lodge. Grisham was the sheriff of Brown County for many years and was expelled from masonry after a fistfight in the Masonic Hall at Brownwood with George Adams, his brother-in-law. He was reinstated in 1875. 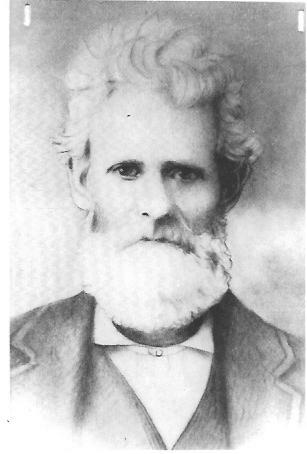 Brooks Lee died at his country home southwest of Brownwood on May 14, 1892 and was buried in Brooks Lee Cemetery near the home. Lee Street in Brownwood bears his name. His nephew and namesake, Brooks Lee Jr., served as the Worshipful Master of Midland Lodge #623 in 1900.